Oyster-style ticketing that can be used on all public transport should be rolled out across Surrey, according to the county council. The authority wants the company winning the next South Western rail contract to introduce a smart system that also allows passengers to pay for bus journeys. 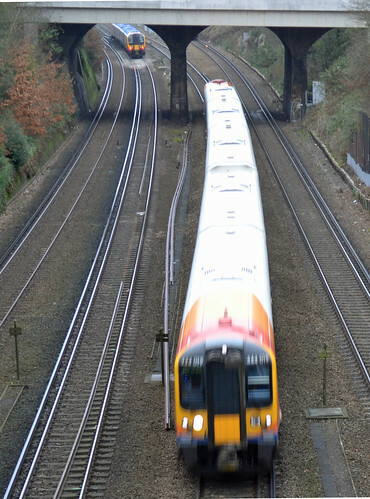 It comes after FirstGroup and Stagecoach, which currently runs South West Trains, were shortlisted to operate the franchise from next year. Surrey’s call forms part of the council’s response to a Department for Transport consultation about it. Better services to London from Camberley, Bagshot and Frimley. The authority has already thrown its weight behind the capacity-boosting Crossrail 2 project and put forward a case for the proposed railway to be extended to Dorking and Woking. Mike Goodman, Surrey County Council’s Cabinet Member for Environment and Planning, said: “Oyster-style technology is the way forward, making travel simpler and easier for passengers using different types of transport.